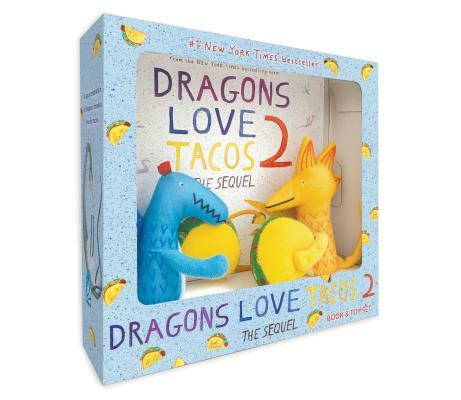 The #1 New York Times bestselling Dragons Love Tacos 2: The Sequel is now available in a book and toy set! This book and toy set comes with a bite-sized 7.5" x 7.5" copy of Dragons Love Tacos 2: The Sequel and two 4" dragon plush toys. Storytime just got twice as fun! Our dragons' favorite snack is in danger of going extinct in this laugh-out-loud, time-traveling sequel to the #1 New York Times bestseller Dragons Love Tacos.